We understand that after you’ve completed a design, it’s likely you may want to adapt the current design to new dimensions. Fotor has your back! 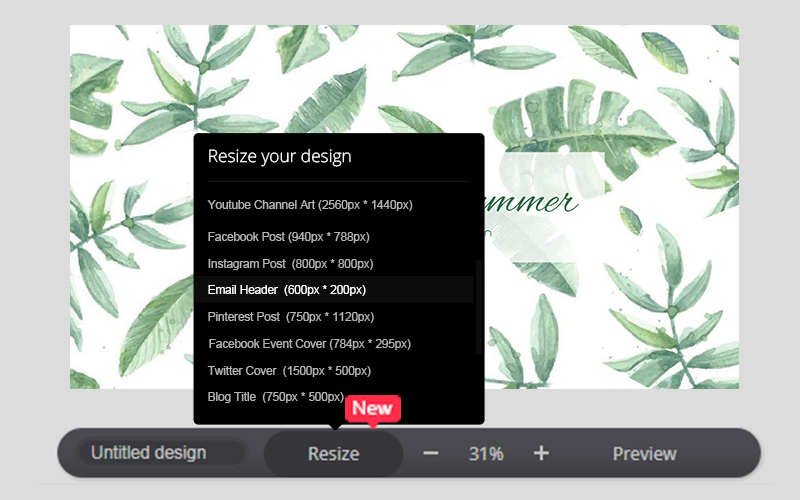 With our new Resize feature under Design, this can be done automatically with just a few clicks! You can easily change your designs to any size you wish! 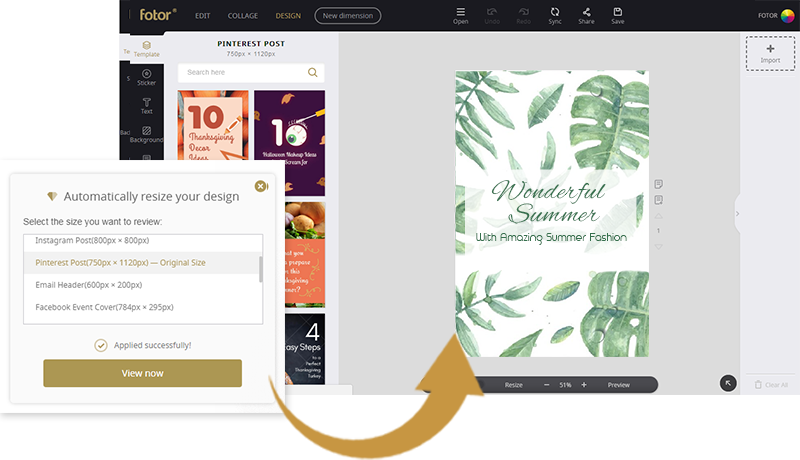 After completing a design, click Resize at the bottom of the canvas and choose one of the preset sizes, or select Custom Size. Preview your design under the new dimension, or enter the Custom Size you need and preview. Feel free to switch to any other preset size here. Click Apply to a new design and you’re ready to roll! Click View now to open it in a new tab. You can make further adjustments here. It’s that simple! Go ahead! Try it out! When I save an image it is reduced in pixel size to a postage stamp. This happens even when I do it by saving it as “High”. I tried the tutorial but the settings feature does not offer me the options presented in the help file. Somebody please help. 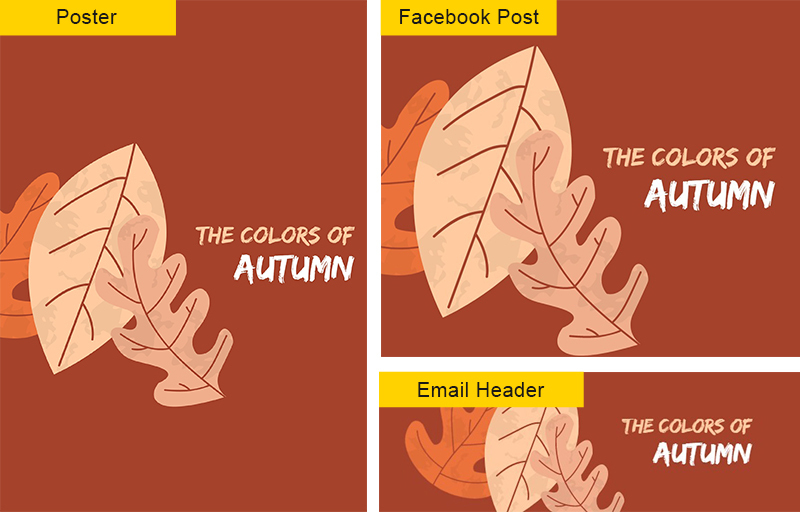 Is it able to convert any design or photograph like Instagram photo size as the square frame ?? 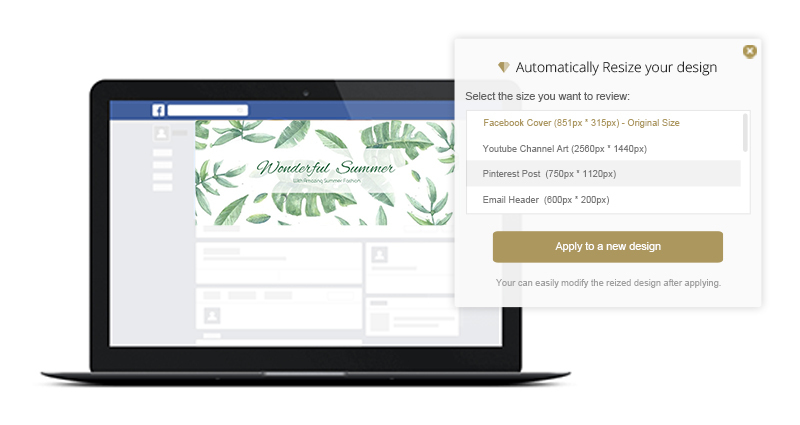 Hi, you can try our feature of “resize” to customize your photos to the size you need easily.